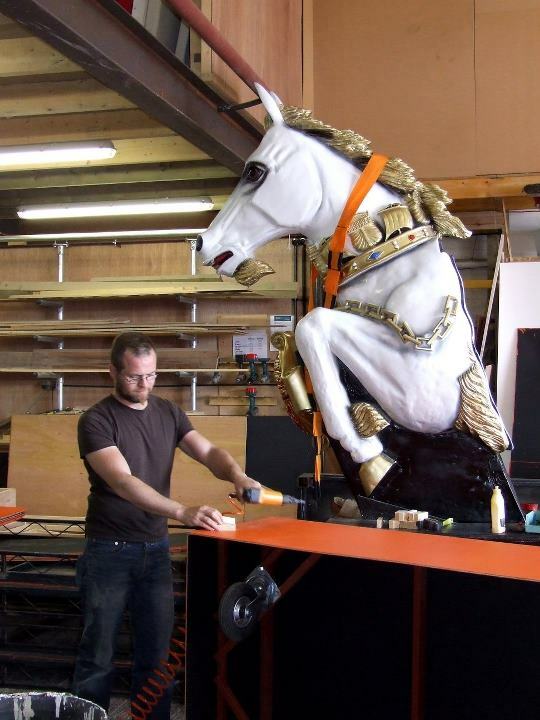 Props can be made in a variety of materials, depending on the needs of your project; polystyrene, upholstery, metal and wood… They can be welded, glued, sewn; stuck or carved… the possibilities are endless! We can supply a vast array of props and furniture from teaspoons to taxidermy and a selection of period costume and wigs. Edinburgh International Science Festival has worked with Big House Events over many years, over a very wide variety of activities. They have helped us with small to more complicated props for our shows and workshops, to very large scale outdoor site specific event installations in collaboration with architects and acousticians. We choose to work with Big House because of their attention to detail, their ability to understand the needs of the clients and the unfailing positive attitude of their skilled team. Big House Events are excellent at budget control, delivering on time, and they never fail to deliver. For those reasons they are valuable partners of the Edinburgh International Science Festival. We are open from 9.30am to 5pm Monday to Friday. © 2019 Big House Events Ltd All Rights Reserved.